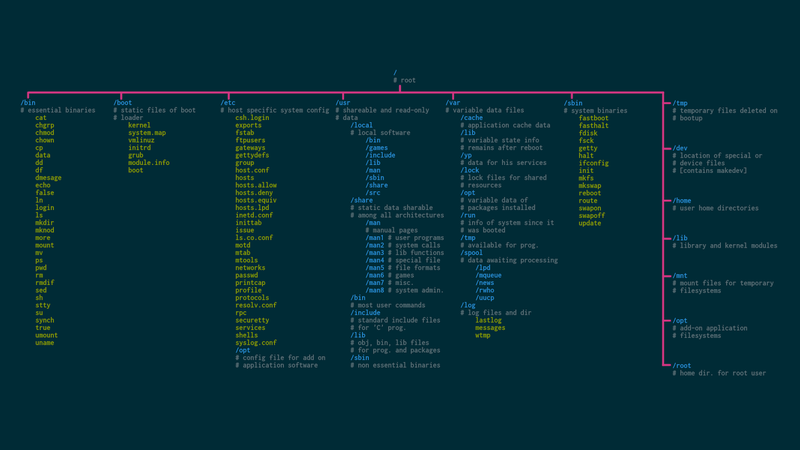 Is there a pictorial representation of Linux filesystem, to understand the Linux filesystem. Currently running Ubuntu 16.04 and I want to efficiently re-install, using 2 HDD, 1x250GB and 1x500GB. The 250GB being the faster drive. Currently FileSystem Hierarchy Standard (FHS) is in version 2.3. To get an in-depth knowledge about it, Visit this page on Linux Foundation. Also as answered by dr01, you can have a crisp knowledge about it at Wikipedia : FileSystem Hierarchy Standard. Would like to add this beautiful image from this Source. I reference this image every now and then. But please note that none of the directories should be capitalized. Feel free to add-in more details. 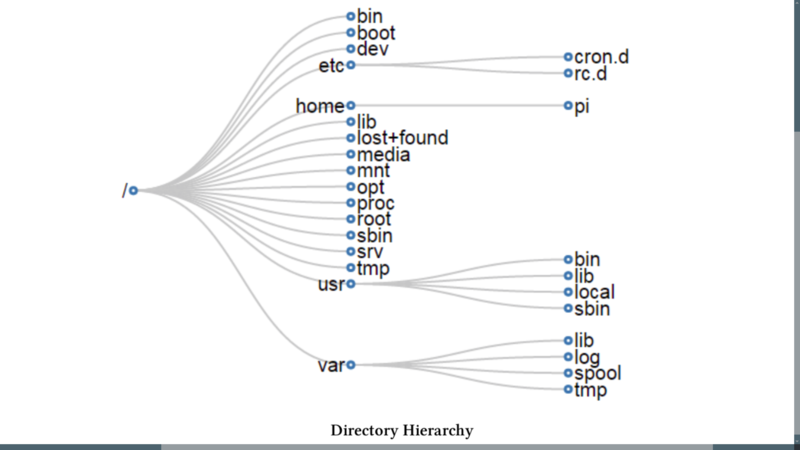 The Filesystem Hierarchy Standard (FHS), maintained by the Linux Foundation, defines the filesystem hierarchy and directory structure and contents in all Linux distributions. Not the answer you're looking for? Browse other questions tagged linux filesystems tree or ask your own question. Non-journalled filesystem that allows instant power off? Can I use command line to clean HDD during the installation of Debian Linux?